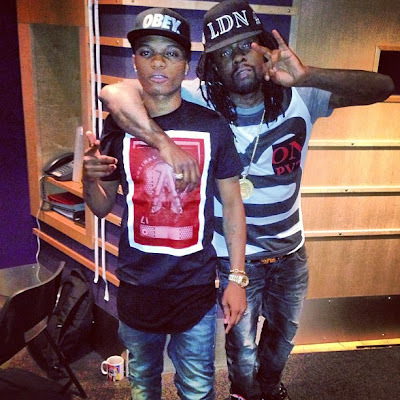 Just after midnight on Tuesday in London, Wizkid took to his twitter page to release a brand new track ‘Drop’ featuring American rapper with Nigerian heritage - Wale "Baba Folarin". Wale brings out the Nigerian side of him - which we don't see often, on this song produced by Wizkid's in-house producers Legundary Beatz. Wiz and Wale have both been in London recently and teamed up to record this fire cracker, over the weekend; where they both speak Yoruba on. ‘Drop’ has had social media sites buzzing since its debut and may potentially end up on Wizkid's forthcoming sophomore album. Who knows? Let's wait and see. Listen to why ‘Drop’ has people talking so much below.